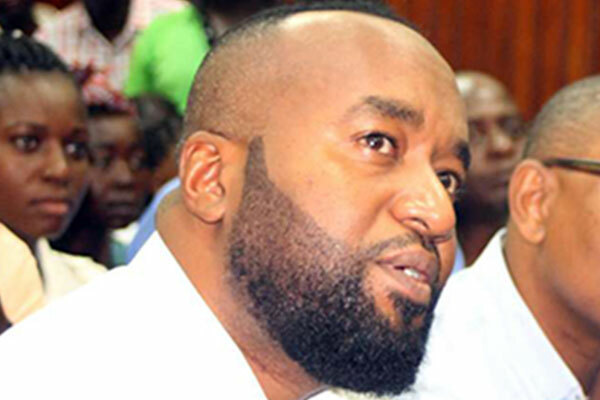 Thursday January 31, 2019-Malindi MP, Aisha Jumwa, has asked Directorate of Criminal Investigations (DCI) and Anti-Narcotics Unit to start probing Mombasa Governor, Ali Hassan Joho, over allegations of trafficking drugs. Speaking on Wednesday in Msabaha in Malindi where she addressed journalists after a burial ceremony, Jumwa said Joho has been giving drugs to youth so as to cause "uhasama ndani ya Malindi" (cause mayhem in Malindi). Jumwa compared Kilifi Governor Amason Kingi to Joho saying Kingi is a leader who deserved respect unlike Joho who goes around "akibweka bweka" (barking), and use youth wrongly after 'giving them drugs'. “Kutuma tuma watu akishawalisha unga halafu wanaenda wakisimama sijui Joho aheshimiwe," said Jumwa. Jumwa is not the only politician accusing Joho of giving drugs to the youth. In August 2018, Kapseret MP, Oscar Sudi, also raised the same allegations on Joho. He said Joho should not talk about leadership of the country or corruption until he stops drug business at the Coast. But in a rejoinder, Joho urged those who claimed that he is a drug trafficker to take their evidence in court instead of barking like dogs.